After a few years of just posting random content on Instagram and seeing growth at a pace a snail could easily outrun, I decided about three years ago to focus on using Instagram to grow my art career. To do that, I needed to grow my following and work on better engagement. A drawing challenge seemed like just the thing! A focused drawing challenge gave me new content to post, helped me connect with followers, and gain new followers as well. Since that first challenge, I've been working daily drawing challenges into my schedule at least a few times a year and have seen my followers grow from about 5000 to over 46000. Over the last few years I've completed an array of challenges including: 100 Birds, 100 Animals, Procreate 30(2 times), Month of Colour(2 times), 52 Birds, 52 Dogs, and Illo Advent(2 times). This isn't a quick and easy method for getting new followers and of course, I can't promise you'll get x amount of new followers in y amount of time. This is about organically growing new followers who are genuinely engaged and interested in your work. As far as I'm concerned, 1,000 engaged and interested followers are better than 100,000 followers who are just casual observers. And of course, as you work through your daily drawing projects, your art will improve, you'll attract the notice of art directors, and you'll gain new freelance gigs. 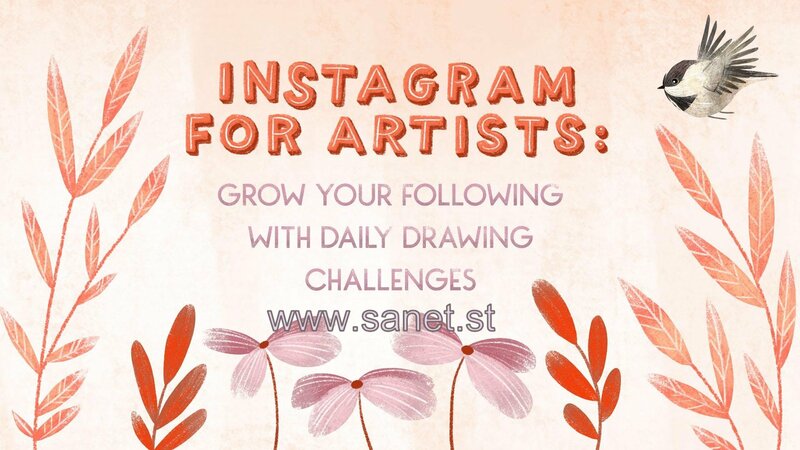 In this class, I'm walking you through my process for choosing and planning a successful daily drawing challenge on Instagram.